The world's largest insurer is ditching tobacco assets worth $2 billion, saying it can't continue to invest in an industry that kills six million people per year. AXA (AXAHY) said it would sell 224 million euros ($250 million) worth of stocks in tobacco companies immediately. The French insurer, the world's largest by non-banking assets, will also stop buying bonds issued by tobacco companies and gradually wind down its existing bond holdings worth 1.6 billion euros. According to AXA, smoking poses the biggest threat to public health. The company said tobacco consumption is the major cause of long term non-infectious diseases including cancer, heart disease and chronic respiratory illnesses, which are together responsible for 68% of all deaths worldwide. But the group's investment management business, AXA IM, won't be banning its customers from putting their money into tobacco. An AXA IM spokeswoman said its activities reflect the demands of clients, including decisions about which companies to invest in and which to avoid. Tobacco kills around 6 million people each year -- more than 5 million smokers and more than 600,000 non-smokers who are exposed to smoke, according to the World Health Organization. AXA warned that the situation is getting worse, with tobacco expected to kill 8 million people a year by 2030, mostly in developing countries. It added that unless action is taken to reverse the trend, tobacco will kill one billion people worldwide during the 21st century. "As a major investor and a leading health insurer, the AXA Group wants to be part of the solution, and our hope is that others in our industry will do the same," said Thomas Buberl, Axa's deputy CEO. AXA is not the first large investor to get out of tobacco, but most of the others that have made the move are linked to universities, such as Harvard and Stanford, or state pension funds. And the decision to divest could be costly. Tobacco companies are doing well -- sales are steady and the companies often reward investors with huge dividends. 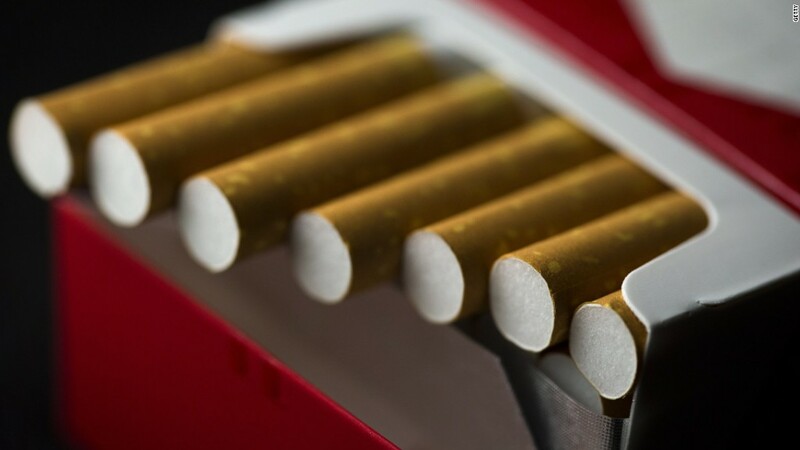 The MSCI World Tobacco Index, which tracks the biggest companies in the sector, gained 10% between January and the April, after rising by 18.6% in 2015. "This decision has a cost for us, but the case for divestment is clear: the human cost of tobacco is tragic; its economic cost is huge," said Buberl.